Moun10Bike: It is well past time for me to act on this cache. A number of factors, including a recent move and the fact that the park has taken a negative stance toward hidden items (not geocaches specifically, but a game involving hidden gnomes) leads me to believe I should look for a different location for this hide. NOTE: The above coordinates are for parking. 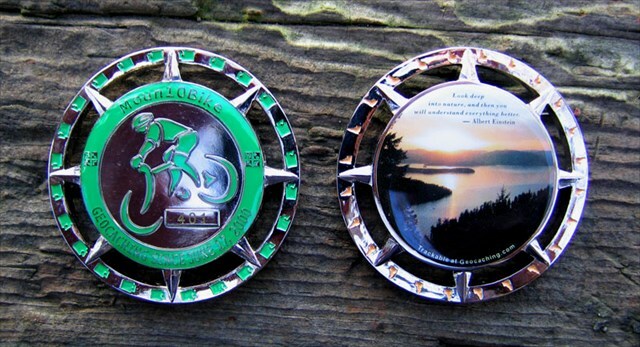 This cache has been specially placed for finders of a version 3 Moun10Bike Geocoin. A treasure trove chock full of unactivated geocoins (and one activated one to start) awaits the finder!